Breezie, a company which looks to make the internet more accessible for the elderly, has raised £600,000 funding led by social-impact angel network Clearly Social Angels (CSA) and five angel investors, including CSA founder Suzanne Biegel. Founded in 2011 by Jeh Kazimi , Breezie offers a “simple”, personalised touchscreen interface for popular apps like Skype and Facebook which enables the older demographic to better understand and use the apps “without the complexity”. Its solution also has an online facility which enables a family member/care-giver to remotely personalise, support and troubleshoot the user’s internet applications such as suggesting content and adding contacts. 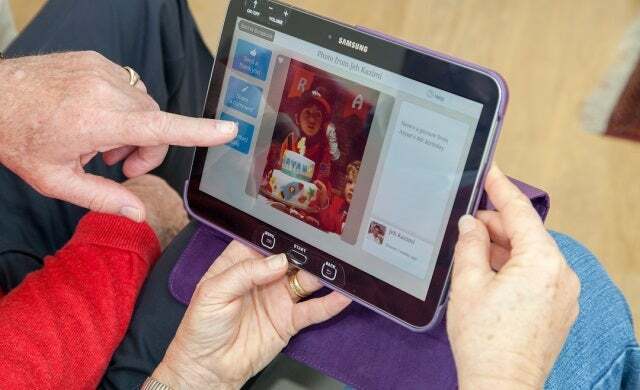 The tech start-up will use the investment to expand and further develop its service, which it claims “can transform the lives of elderly users”, and marks the first stage of a £1m round which it intends to close by autumn this year. Breezie founder, Kazimi, commented: “Breezie was started by a personal need to get my parents online. “My mum was over from India to spend time with her grandson; my wife and I were busy trying to teach her how to use Skype, as well as my dad in India. After several weeks of ‘can you hear me, can you see me?’ on Skype, I realised every day technology that we take for granted just isn’t built for people not comfortable with technology. “Any of us that have been in the position of providing tech support for our parents can see the potential in a smart solution that helps us and the people we love.